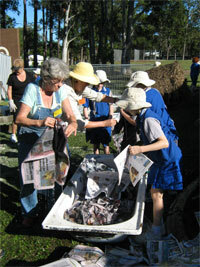 To develop edible gardens within school communities that will encourage health and build life-long skills and knowledge of participants, enabling communities to grow towards a more environmentally sustainable future. 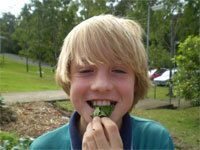 To create life-long learning opportunities through the establishment of edible Permaculture gardens in schools. b) create a learning environment that encourages the skill of observation, participation, team work, planning, design and maintenance. e) create a place outside the classroom where learning is valid but focussed on actities which are based on real life, are relevant and have an emphasis on hands on activities.